D. C. Russell is the pseudonym of a long time observer of politics in Prince George's County. Senior citizen, 49+ year resident living less than a mile from the DC line. Libertarian, fiscally conservative, socially moderate, strong believer in the rule and consistent application of law, and increasingly distrustful of career politicians, big government and government secrecy. Appalled by the crime and status of education in Prince George's County and by the willingness of voters to retain in office the public officials responsible. Semiretired since April 2012, now active for the 2015 General Assembly session. Also on Facebook and Twitter as PGPolitics and compiler of http://gorypg.blogspot.com. 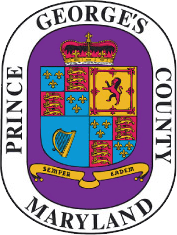 Vote NO on ALL Prince George’s Ballot Questions. PG-Politics recommends a NO vote on ALL Prince George’s ballot questions. All of the county-specific questions will increase the cost..
With so many news reports about the abuse of vulnerable children and the county’s loss of Head Start program funds.. Original posting from 25 Mar 2012, Prince George’s County residents bear about the highest tax burden in the region (List.. In November, the majority of Maryland voters chose the candidate offering lower taxes and reduced government spending over the candidate..